Looking for a new and exciting, yet tasty and healthy snack for your little one? 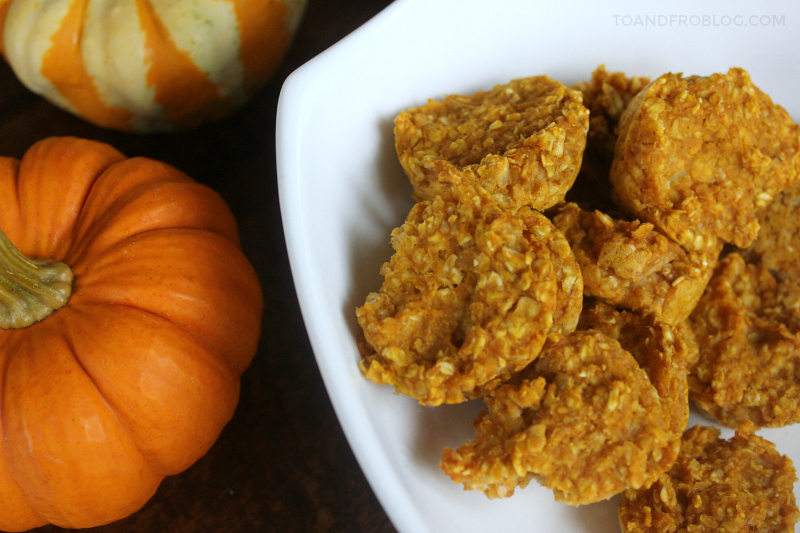 Check out this fall-inspired recipe for baby Apple Pumpkin Cookies! 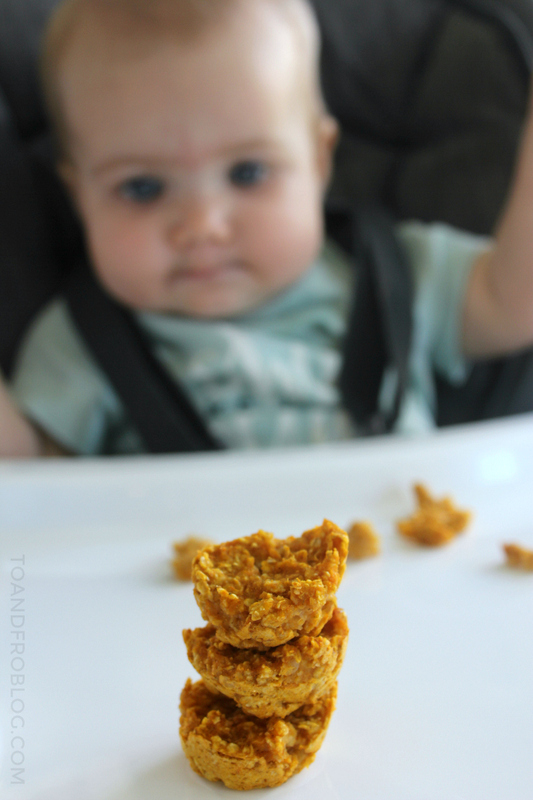 Babies love exploring the tastes and textures of new food. And little miss Morley is no exception. As she expands her palate (and appetite), I am constantly looking for fun and exciting ways to introduce her to new, yet healthy, foods at lunch, dinner and snack time in between. Sure, grocery store shelves are loaded with snacks that come in all shapes and sizes, but these snacks also tend to contain a long list of ingredients. Too long for my liking. They may also contain ingredients that you are not yet prepared to feed your little one, such as eggs and sugar. Instead, I looked to my own kitchen. Since we already prepare our own baby food for Morley, I decided to add these baby cookies to our kitchen's menu. 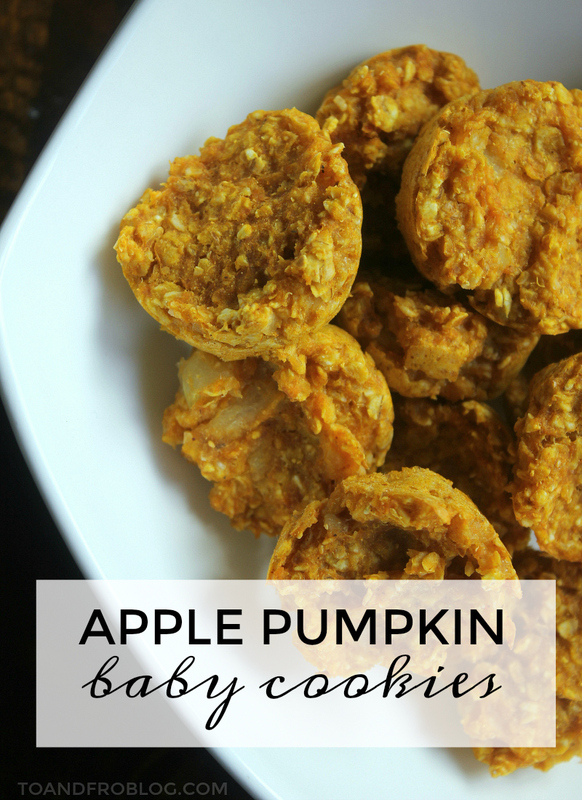 With just five ingredients, this recipe for apple pumpkin baby cookies is simple, inexpensive and healthy for baby. Pumpkins are jam-packed full of some of the best nutritional compounds around - they are loaded with Vitamin A and are a good source of potassium, protein, and iron. Pumpkins are also low in fat and calories, but high in fibre. Apples and oatmeal are an additionally great source of fibre, and oatmeal adds calcium, protein and even some B vitamins. The soft consistency of this cookie is perfect for babies just learning to chew. Baby will love these cookies, jam-packed with all the fall deliciousness! If baby is not yet able to eat food with a bit of texture, puree mixture in a blender. 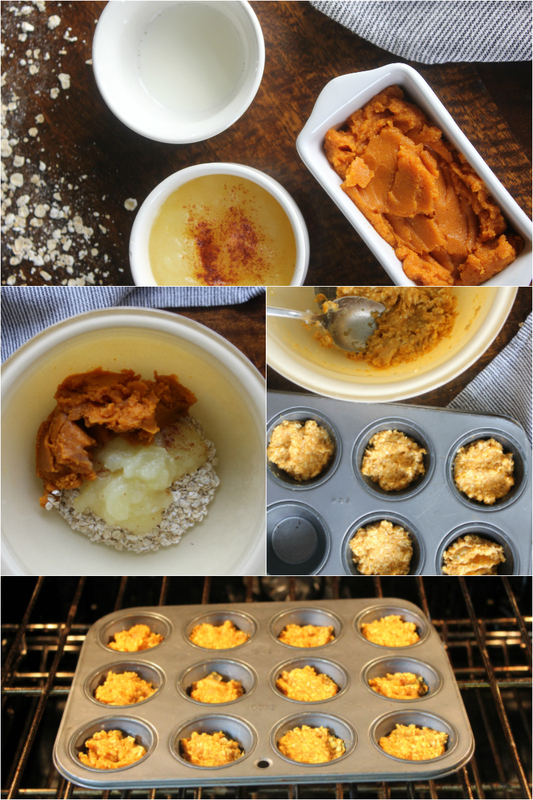 Using a spoon, fill each individual muffin 3/4 of the way full. If you do not have a small muffin tin, using a spoon lay a one-inch long dollop of the mixture on a parchment paper lined baking sheet and repeat. Bake for 15 minutes for a soft cookie, longer if you would like the cookie to be a bit harder (i.e. for a child with teeth). Allow to cool before giving to baby. Store in sealed container in the fridge, for up to 5 days. Break into small pieces for baby or, if old enough, give whole and allow them to bite themselves. Home Chef Tip #1: If baby is not a fan of apple or pumpkin, this recipe can easily be made by substituting two ripe, mashed, bananas instead. 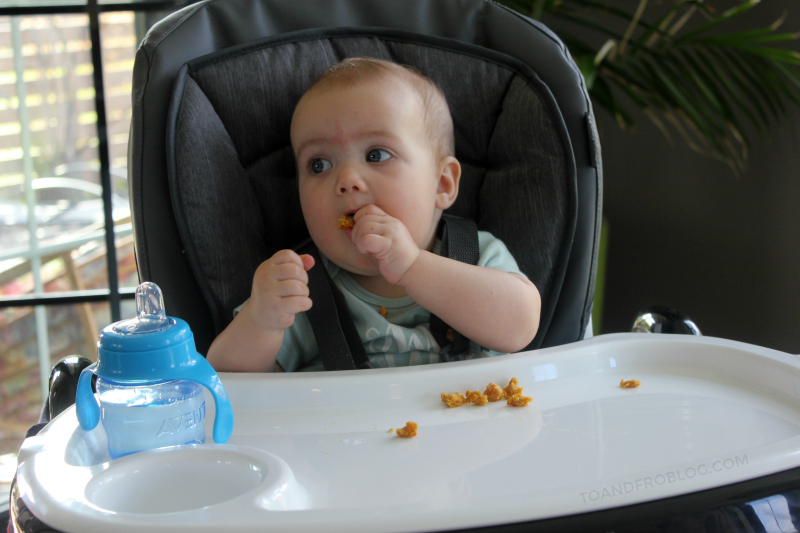 Home Chef Tip #2: Depending on baby's age and number of teeth, they can either be given whole or broken into bits for baby to grab and feed themselves. Please do not leave your baby unattended while eating! I am a sucker for all things apple and pumpkin during the fall, and now baby girl can be too! What is your favourite fall-inspired recipe? What flavours does baby love?